Cornus sericea 'White Gold' is a yellow twig dogwood cultivar that is primarily grown for its bold variegated foliage, each leaf with an Ivory Halo, followed by gold winter stems. 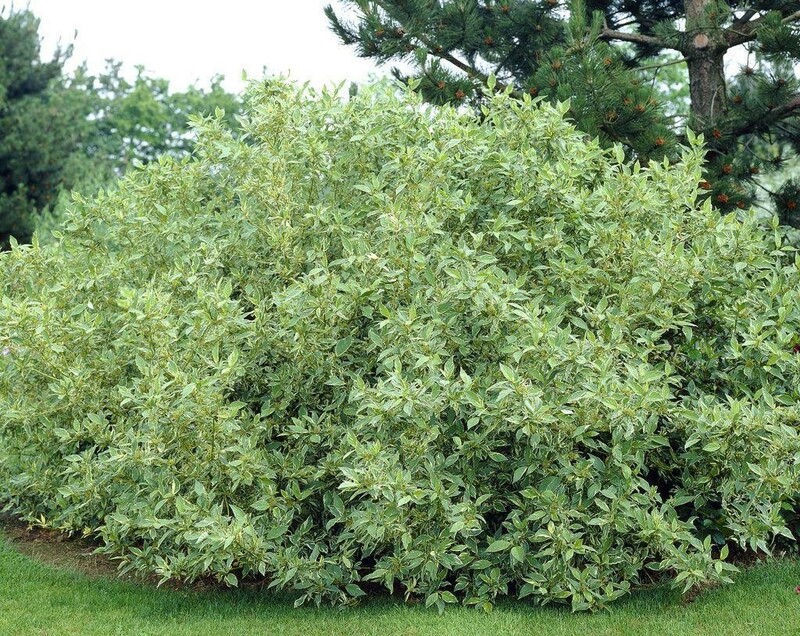 Silvery green leaves are variegated with irregular creamy white margins and turn yellow in Autumn. The stems turn bright yellow in winter and are particularly showy against a snowy backdrop. White Gold has tiny white flat-topped clustered flowers in late spring, with additional flowering sometimes continuing into summer. Flowers give way to clusters of whitish (sometimes with a bluish tinge) berries in late summer. Fruit is quite attractive to birds and is generally considered to have as much if not more ornamental interest than the flowers. 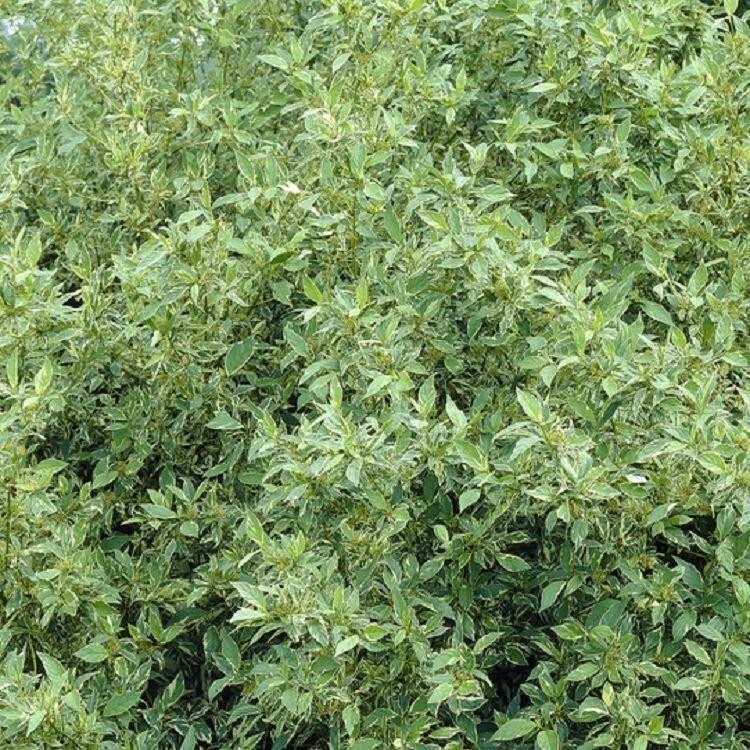 Excellent massed or as a specimen, It is effective in shrub borders where plants can be combined with evergreens or red twig dogwoods for interesting winter contrast. It is also effective in naturalistic plantings in moist soils where plants can be allowed to spread and form thickets. Plants perform very well in wet locations such as low spots or along streams or ponds. Supplied in approx 2-3 litre containers.